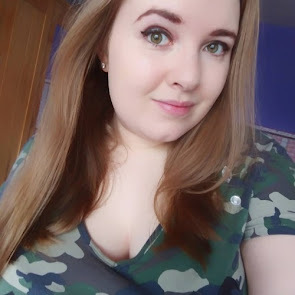 Starting up with some more personal posts for the 'life' part of my blog, I'm going to start up a series of stories about my life, some funny, some maybe not, and others are there just for me to get things off my chest! I'll not mention names unless I know the people involved will be okay with me mentioning them, so all names marked with an * are names I have changed to save someone's identity! I had the bright idea one evening in September to find some chat apps for my iTouch just so I could chat to people and maybe make new friends. I had been single for a little under two months at this point so thought I could do with some people to bug in my spare time! I found one app called Badoo, and it was free to download so I downloaded it and began to set up a profile. I specifically put 'wants to chat/make new friends' as my options, not selecting the 'wants to date' option as quite frankly I was (and still am), loving being single. As you can imagine there were a lot of people on there eager to chat and make friends, but then there are the crowd on there who wanted to date. ~Internal sigh~ I'd like to say a handful of them were nice and okay, and fine with the fact I wasn't up for dating and then they left me alone. I was inundated with offers of booty calls, dates, money, and even a car at one point, and I had 8 phone numbers thrown at me, in the first five minutes of me signing up onto the app. I'd only put up one picture at this point and not even a flattering one at that. I met a few nice people on there and though nothing came of some of them, I've actually made two friends off of the site. Yay! Alex: Will you dominate me? Alex: Please. Take my virginity? Alex: I'll even marry you and treat you like a princess. Alex: Please. Don't you like to dominate people? Me: Hello would have been nice to start with! Alex: Hello! < Changed your mind now? This carried on for about ten minutes as I had yet to figure out how to block people, but the worse part is the guy was real as his account was verified by Facebook and mobile number... I cannot even begin to explain how much I was laughing and wondering if he was joking or being serious. That was until it happened a few more times with other guys. Really, the word hello would be nice before you ask me to jump into bed with you, or tie you to the damn thing. I've also seen far too many guys using their um... manhood as profile pictures. LET ME SEE YOUR FACE. I've come across two old friends from school and a guy I worked with on there so far. He is another story completely, along with the guy who I actually met up with and well that didn't go quite as well as I was hoping! I've since steered well clear of the app as I fear for my sanity if I get asked to dominate one more person. Anyway, until part 2, keep safe and have a great weekend! Haha this is hilarious! Online dating sometimes can be a weird experience!